Loaded skins are everyone's favourite guilty pleasure side dish, with fluffy, creamy mash contrasting gloriously with the crisp shell of the skins. 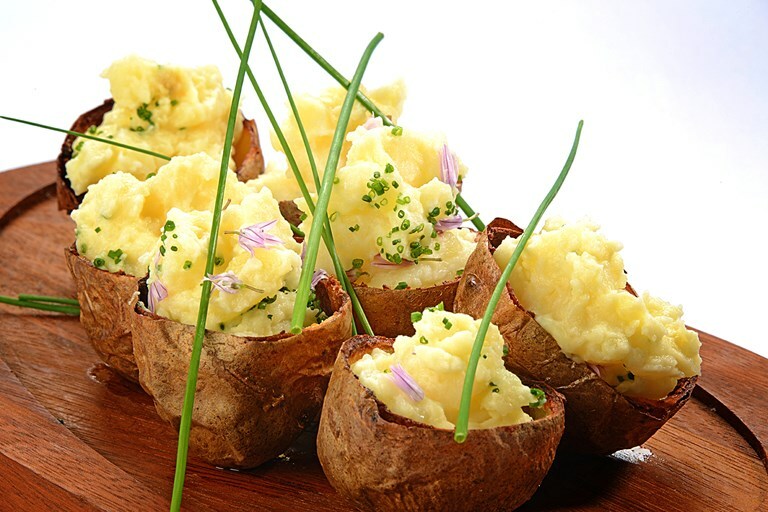 Lisa Allen's stuffed potato skins recipe includes a couple of hints for perfecting the golden, crispy shell, such as baking the potatoes with salt and brushing the shells in butter before they are put back into the oven. Once you've mastered this recipe try adding some extra fillings of your own, such as cheese or bacon. Lisa Goodwin-Allen's cooking is playful and twists the hallmarks of Lancastrian cuisine to invoke new tradition.